What Do I Need to Know about Cataract Treatments? If you are older, there is a good chance you may develop cataracts, and if you do, you won’t be alone. According to the National Eye Institute, over half of Americans will develop cataracts or have cataract surgery by the age of 80. Cataracts can also happen when you are in your 40’s or 50’s, but these are usually small and don’t affect your vision. Most cataract problems begin to occur after the age of 60. Dr. Mary Szatowski, at Chicago Ophthalmology in Chicago, is here to help you learn about cataracts and what you can do about them. 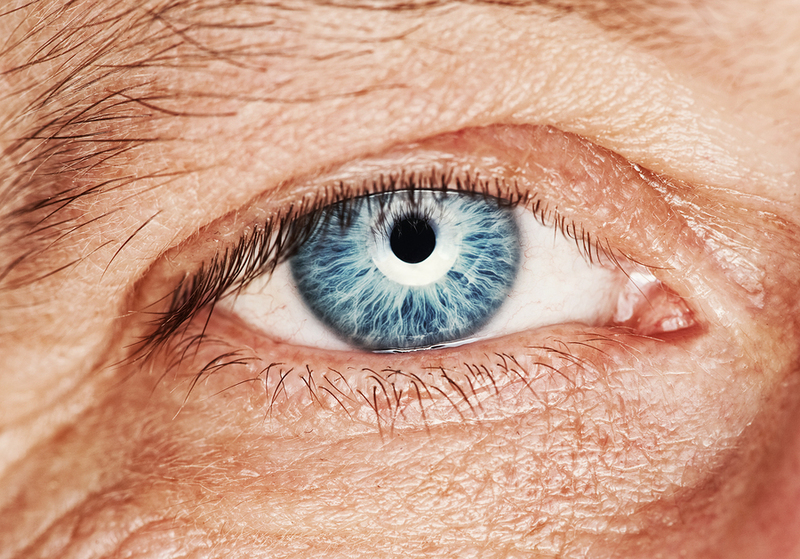 What are cataracts and what causes them? A cataract is a clouding of the lens of your eye, affecting vision. Cataracts are caused when the protein in the lens of your eye clumps together clouding the lens. Smokers and people with diabetes are at higher risk for cataracts. People may also be at higher risk for cataracts if they have prolonged exposure to sunlight. Wear a hat and sunglasses when you are outside, and stop smoking. Good nutrition is vital. Include foods high in antioxidants like green leafy vegetables and fruits to your diet. Once you reach the age of 60, have a comprehensive eye exam with Dr. Szatowski at least once every two years. How can Dr. Szatowski fix my cataracts? One type of cataract surgery is phacoemulsification, where a tiny probe is inserted through a small incision in the cornea. The probe emits ultrasound waves that break up the lens so it can be removed. Extracapsular surgery can also be performed. A longer incision is made through which the cloudy part of the lens is removed in one piece. After removal of the natural lens, an artificial lens is placed, called an intraocular lens or IOL. The IOL becomes part of your eye and you won’t even notice anything except improved vision. If you are interested in learning more about cataract treatments please visit the Chicago Ophthalmology website at http://www.youreyesbydrmary.com/cataract-treatment.html or give Dr. Mary Szatowski at Chicago Ophthalmology a call for a consultation. If you are worried about cataracts, don’t wait! Call today and improve your vision! Eye removal surgery can seem scary and unknown. Let us help make it easier. It can be an extremely tough decision to decide that it’s time to have your eye removed. Your Chicago ophthalmologist Dr. Mary Szatkowski understands that this is a delicate situation and that you may need more information regarding your upcoming procedure. We are here to answer all of your questions and to make this serious procedure a little less stressful. A. Enucleation is a surgical procedure in which your Chicago eye doctor removes an eye. Q. Why is enucleation performed? Q. What should I expect during the procedure? It’s standard for this procedure to be performed under general anesthesia, but it can be done with just a local anesthesia. The surgery usually takes about one hour to 90 minutes. Once the eye has been removed an orbital implant will be placed into the eye socket. The muscles of the eyes are then attached to the implant to improve its mobility and then eyelid tissue is covered over the implant. Q. What will the recovery period be like? After your surgery, a pressure patch is placed over the eye to reduce swelling of the socket. This patch is usually worn for about one to four days after surgery. It’s not uncommon to have difficulty opening the lid of the untreated eye, which can be scary. Just know that this may happen and will go away in about a day. It’s also common for patients to experience some pain or discomfort for the first day after surgery. Your ophthalmologist in Chicago, IL will most likely prescribe a pain reliever to reduce post-operative symptoms. Once the patch is removed you may still be swollen or bruised for a couple days. Icing the area can help alleviate these symptoms and speed up healing. A special ointment may also be prescribed to help heal the socket tissue. Q. When will I get my artificial eye? Sometimes referred to as an ocular prosthesis, these devices are usually placed about three to six weeks after your surgery. Before you get your prosthetic a conformer, or clear plate will be placed where the artificial eye will be to prevent the tissue from shrinking. Dr. Szatkowski and our whole ophthalmology team are here to provide a full range of eye services to the Chicago area. No matter what you need we are here to provide treatment in a compassionate, timely manner. Call us today! Is Botox Treatment Right For Me? Many patients look to Botox as a fast way to look younger in just one relatively short session. Dr. Mary Pritikin is a Chicago doctor who administers aesthetic treatments and offers Botox as a service to her patients. If you are curious about Botox and how it can improve the appearance of your skin, learn more about this procedure in advance of your first consultation at PritiSkin with Dr. Mary. Botox is a skin treatment that gained popularity in the late 1990s and early 2000s. It’s now one of the most popular cosmetic treatments in the United States, and is offered at offices across the country. It’s a drug made from a substance called botulinum toxin, which “freezes” the muscles temporarily to give the skin a smoother, tighter and younger appearance. Botox has also been found to be helpful for softening lines around the mouth, getting rid of forehead lines and reducing the appearance of crow’s feet. Patients who have saggy or folded skin around the neck also might benefit from this skin treatment. Dr. Mary Pritikin is an aesthetic specialist practicing in Chicago who is committed to helping patients get the “pretty skin” they’ve always wanted. Call the PritiSkin office today at (312) 332-4296 to discuss Botox and other skin treatments. In addition to treating your vision, your ophthalmologist can also diagnose skin cancers in the eye area. You probably know that visiting a dermatologist for skin checks yearly is vital to your health. At these appointments, your skin specialist will check your entire body for changes in your existing moles or new abnormalities. But did you know that your ophthalmologist also checks your skin for irregularities? Dr. Mary Szatkowski, who operates an ophthalmology practice in Chicago, Illinois checks each of her patient's eyelids and nearby areas for skin cancers. She wants to make her patients aware of this problem, its warning signs and the preventative measures they can take. The majority of skin cancers that your Chicago ophthalmologist finds are basal cell carcinomas, cancerous growths that start in the top layer of the skin, usually as a result of sun exposure. Squamous cell carcinomas are occasionally found as well; these cancers are more invasive. Only about 5% of cancers found in the eyelid area are melanomas, which can be fatal if they are ignored and left to spread into other systems in the body. Although they can appear anywhere in the eye area, most (44%) of eyelid skin cancers are found on the lower eyelid. Others tend to grow on the medial canthus (the space in between the eye and nose) and the eyebrow. Most of the time, eyelid skin cancers present as a mass that is scar-like in appearance and texture, or an ulceration (a sore that heals slowly or not at all). These are all signs that Dr. Szatkowski has been trained to recognize, diagnose and treat accordingly at her Chicago ophthalmology practice. This usually involves removing the cancerous tissue using a microscopic surgical device (Mohs surgery). Prevention of eyelid skin cancers includes wearing high-quality sunglasses that block 99 to 100 percent of UVA and UVB rays from the sun. Using SPF15 or higher moisturizer with sunscreen is also helpful; your Chicago ophthalmologist advises you check the label and make sure that it is safe to apply around your sensitive eye area. If you have further questions or concerns about eyelid skin cancer, please contact Dr. Szatkowski's ophthalmology practice in Chicago for an evaluation. When your physician asks if you had your annual vision exam, your answer should be a resounding "Yes!" Annual eye exams can uncover silent and undiagnosed diseases of the eye which could destroy vision. One such condition is glaucoma, and Chicago, Illinois ophthalmologist, Dr. Mary Szatowski, can diagnose and treat this potentially sight-robbing disease. The most common glaucoma is primary open-angle glaucoma. It is marked by a build-up of pressure inside the eyeball when its natural fluid (aqueous humor) does not drain properly. Increased intraocular pressure can happen suddenly or gradually. It damages the retina at the back of the eye and the optic nerve which sends information to the brain, resulting in permanent partial or complete blindness. Usually, the peripheral vision is damaged first. There are a number of tests which your Chicago eye doctor uses to detect glaucoma. Most adults are familiar with the test which blows a puff of air onto the surface of the eye to measure IOP or pressure within the eye. Sometimes, this exam may not pick up on glaucoma. If the physician suspects it, there are other exams to pinpoint it. Experts at the Mayo Clinic outline several treatment options doctors use to combat glaucoma. If caught early, the disease can be well-managed and sight preserved. Eye drops which decrease production of the aqueous humor, promote its drainage or even both. Oral medications such as beta blockers which decrease intraocular pressure. Surgery to help drain the eye fluid. Typically, these surgeries are performed on an outpatient basis at the opthamologist's office or hospital. Some involve lasers. For instance, the Laser Trabeculoplasty opens a hole in the trabecular network or drainage system of the eye. While its effects are not immediate, this procedure decreases the pressure in the eye. In addition, doctors employ lasers to treat Angle-closure glaucoma, a medical emergency. A Laser Peripheral Iridotomy relieves sudden pressure by opening a drainage hole in the iris or colored part of the eye. If an eye doctor thinks a patient is at risk of developing this dangerous condition, he or she may do the surgery prophylactically before a problem occurs. Another surgery is the trabeculectomy. Using a scalpel, the surgeon creates an opening in the sclera and the clear cornea of the eye. Anti-inflammatories and antibiotics are used after this surgery. Dr. Mary Szatowski and her associate, Chen Kuo, OD, emphasize the importance of vision health. They offer a wide range of services to examine your eyes and maintain their health. Diagnosis and treatment of glaucoma is one of their priorities. Call Dr. Mary Szatowski at her Chicago, Illinois office today for an appointment: 312-332-4296.